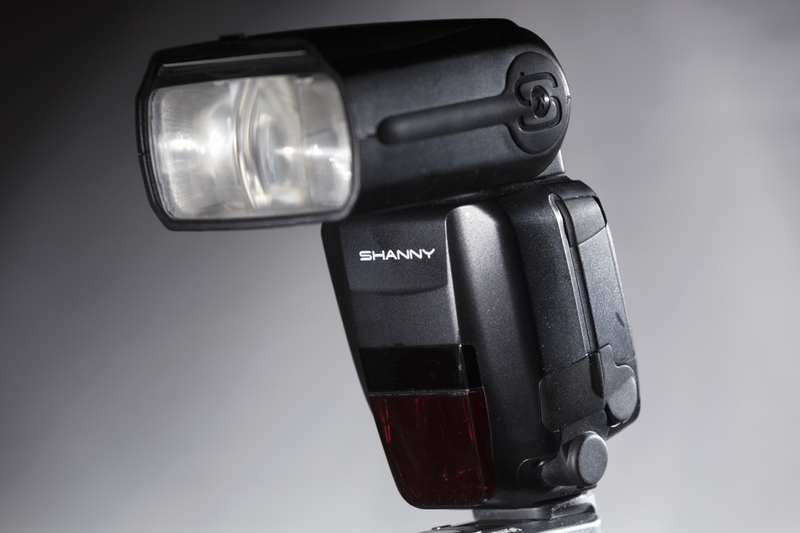 Shanny's slave-only version of the Canon 600EX-RT flash offers radio control, E-TTL and HSS for a low price of $130. Is it any good? We’ve certainly seen Shanny come out of the woodwork, recently, with a number of fantastic new products being added to the young company’s range. Just a month after reviewing the Shanny SN-E3-RT, we’re back reviewing another of their new products, the SN600C-RT. Firstly, it must be said that this flashgun is nothing revolutionary. It’s really Shanny’s slave-only version of the Canon 600EX-RT, with a few minor changes and variations. Other than its price, perhaps one of the most significant benefits of the SN600C-RT is the ability to use it as a slave in a Nikon setup, but though this might be useful, I don’t believe it would ever be a main selling point. I was keen to try out the recycle time that Shanny claims their product has. Canon would probably dispute what Shanny say is a three second recycle time on the 600EX-RT, especially as it is written as such in Shanny’s comparison table, helpfully provided with the flashgun itself. I used four fully-charged Sanyo 2500 mAh batteries for my test and set both the Canon 600EX-RT and the Shanny SN600C-RT at 1/1 power. The Canon took nearly four seconds to recycle, whereas the Shanny only took 2.3 seconds. After the addition of a Godox Propac PB820, there was no discernible difference between the two flashguns, with both managing a recycle time of around 1.3 seconds. The build of the SN600C-RT is almost exactly identical to that of the Canon version, though I think it still lacks something of the sturdy, robust feel that the 600EX-RT offers. The Canon’s buttons are a little more reassuring to press, in comparison to the clicky, plastic feel of the Shanny’s controls. While we’re still on the subject of knobs and switches on the rear panel, we can compare the dot-matrix LCD screens. There are some clear differences here, between the Canon and Shanny, and after a little use, I can safely say that I prefer Shanny’s clearer, brighter, LCD screen. It displays all the settings you need to see with the advantage of a much larger display font. I have often found myself squinting at all my Canon flashguns’ LCD screens, at awkward angles, in an attempt to read menu settings, but Shanny has made it so much easier by making this relatively minor adjustment. 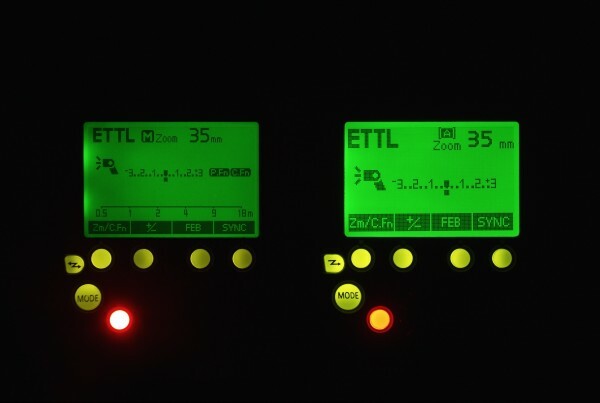 To illustrate this, I photographed the two flashguns’ LCD screens together. There’s a stark contrast between the screen brightness of both flashguns, and the annoying, much too bright, glaring red ‘TEST’ button lamp on the Canon is not to be found on Shanny’s new product. The Shanny’s menu is easy to navigate and operates in the same way as the Canon flashgun does. For photographers who might be into fast action or sport photography, it may come as a slight drawback that the Shanny has a shorter scope in MULTI mode, at 1-199 Hz, in comparison to Canon’s 1-500 Hz range. For most normal users, however, I doubt this shortcoming alone would push anyone to forking out a heck of a lot more money for Canon’s product. The SN600C-RT also includes a micro-USB port inside the battery chamber door for updates, so it is reassuring to see that Shanny intend to continue revising and developing this product’s firmware in the future. Tilt and swivel functions are the same as that found on the Canon 600EX-RT with up/down from -7 to -90 degrees and left/right from 0 to 180 degrees. The wide-angle panel and built-in bounce card are also identical – or at least, they were, until the flashgun tumbled down a set of stairs and the wide-angle panel snapped off. They can however, be easily found on eBay – Canon parts will work just as well. 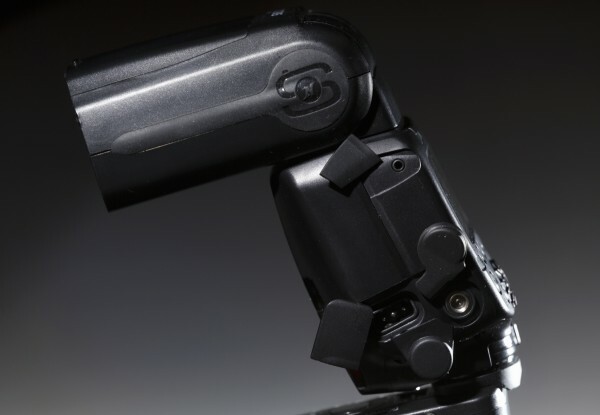 In a bid to maximise the SN600C-RT’s versatility, Shanny have included an S1 and S2 slave option, as found on the previously reviewed SN600SC. 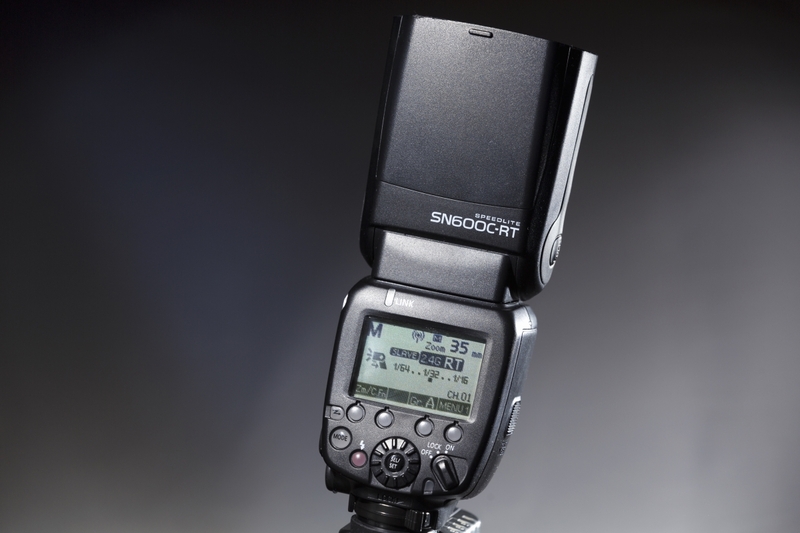 Simply put, S1 mode is a basic slave setting, for use when using a non-TTL enabled flash, or using any flash in manual mode. S2 mode is a more advanced slave setting, that can be enabled when using a TTL flash, and ignores the pre-flashes that are typical of any TTL flashgun. 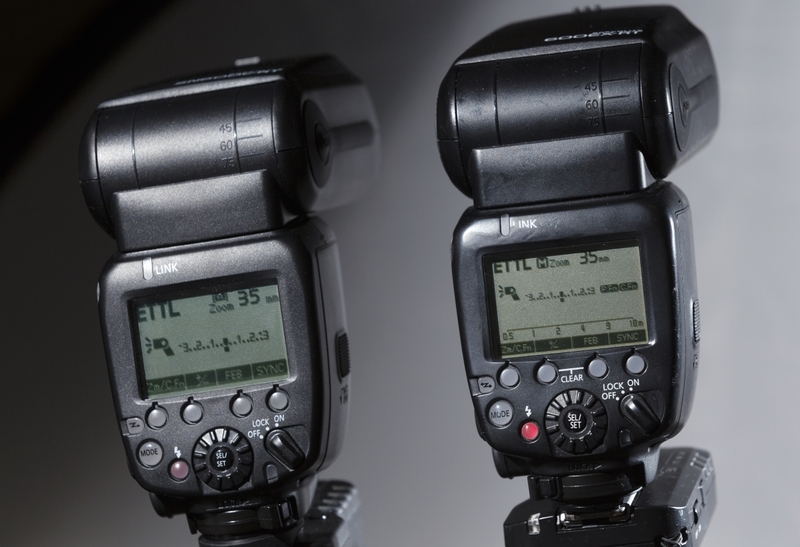 S1 and S2 modes will only allow for manual flash output, which is set in the normal way, through the rear interface. As I’ve already mentioned, the Shanny is also compatible with Nikon’s i-TTL system. Unfortunately, I didn’t manage to get my hands on a camera and a master flashgun from the dark side, so this feature remains untested. 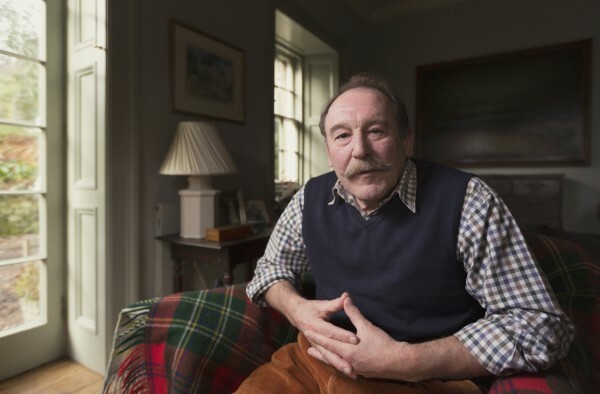 My assignment was to photograph an author, ahead of the publication of an upcoming book that I have been working on. The room was filled with ambient light, streaming from a set of summer doors to the left of the camera and from a window behind me. I was still however, lacking a key light, so I decided on a simple lighting setup and mounted the Shanny on a 90cm softbox, placed beyond the top left of the frame. I used Shanny’s SN-E3-RT radio trigger, mounted on the top of my camera and operated the flashgun wirelessly through the camera’s External Speedlite Control menu. The shoot was fast-paced and the Shanny performed without a single hitch. The flashgun delivered consistent results and recycled immediately, allowing me to take multiple shots in quick succession and letting me concentrate on my subject, rather than my equipment. Canon EOS 5D MK III with 16-35mm f/2.8 lens. 1/80s @ f/2.8. Out of curiosity, I also tested the Shanny alongside the Yongnuo YN-E3-RT, which was reviewed on LightingRumours last year. I found no issues with communication or compatibility and indeed, this is another option for photographers who already own Yongnuo’s product. In conclusion, Shanny have added yet another impressive creation to their product line. The SN600C-RT is easy to use and follows the same menu as found on the Canon 600EX-RT, so will be familiar to many new users. I am slightly disappointed that Shanny haven’t enabled a master mode for this flashgun, but perhaps this is less of a developmental limitation on the company’s part, and more, an encouragement to purchase Shanny’s master-enabled radio transmitter, the SN-E3-RT. Despite this, the Shanny is still a good-quality option to choose from, especially for photographers who require multiple flashguns in their setup. The Canon 600EX-RT, the Canon ST-E3-RT, the Yongnuo YN-E3-RT and the Shanny SN-E3-RT can all be used as master triggers to control the Shanny. This increased versatility means that you don’t have to shell out a fortune for the Canon’s most expensive flashgun and this will undoubtedly, be a selling point for many. The Shanny SN600C-RT is available from The Photo Gadget for $129.99. For more information, visit the manufacturer’s web site.